When my teenager turned 18, the house was filled with drunken teenagers. I like to think that similar shenanigans, or at the very least a conga line, will occur as home shopping channel Ideal World celebrates its 18th birthday this week. There will be free P&P across the whole Ideal World website, plus price drops for some of their biggest brands. 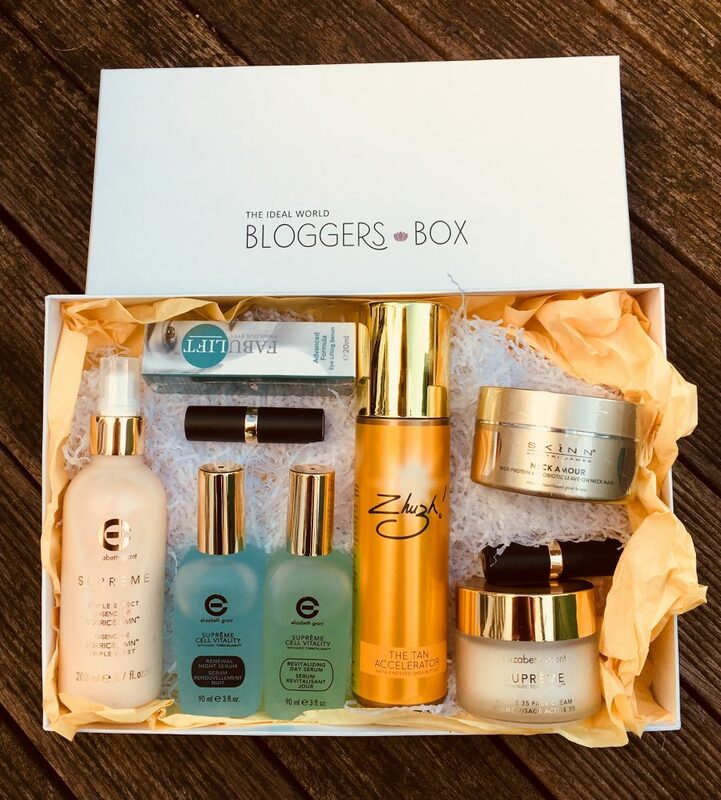 In the beauty department, top offer has to be the Elizabeth Grant Supreme Collection. 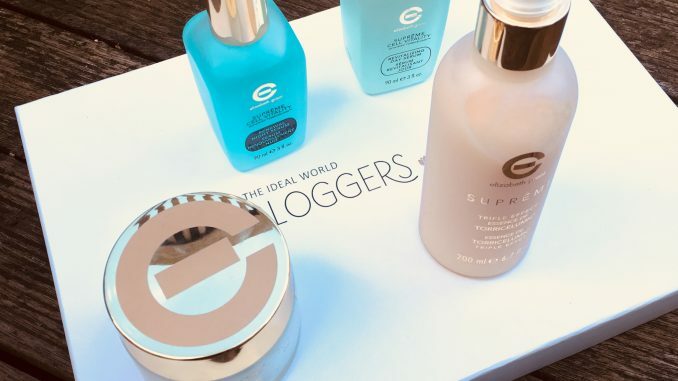 Elizabeth Grant is a sixty year old Canadian luxury skincare company. 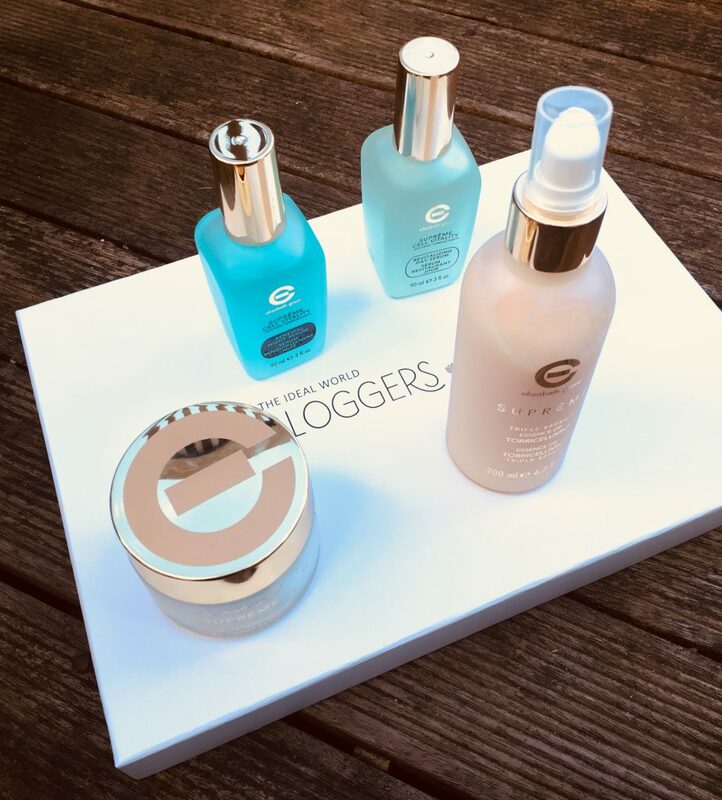 Cool fact alert: The original Elizabeth Grant, who founded the company, was a make-up artist at Elstree Studios in London. She worked on many famous faces including Vivien Leigh, Sean Connery, and Noel Coward. Elizabeth’s skin had been damaged by a bomb blast in World War 2, leading to a lifelong interest in skin repair. Her eponymous brand is one of the top selling names at Ideal World and this is a fantastic deal. So it’s a full day to night skincare regime. Separately these would retail at £249.96, but the birthday week offer brings that all the way down to £39.99. As you can see in the photo, the bottles in the offer are big (90 to 200ml) so you’re looking at at least 6 month’s worth of skincare here, if not more. I would say this range is best suited to dry and ageing skin (not so much oily skin). Elizabeth Grant products are quite rich, and a little goes a long way. There’s also a special offer on the Elizabeth Grant Moisture Stick, which will be £9.99 for 4. This creamy lip balm reminds me a lot of the Elizabeth Arden Eight Hour Lip Balm (except it doesn’t have SPF). It’s a nice balm to wear under lipstick. I also liked the Fabulist Fabulous Eyes, a tightening treatment for around the eye area. This normally retails for £20, but the special birthday offer is 1 for £18 or 2 for £30. One of the key ingredients here is syn-ake, or synthetic snake venom. Don’t let that put you off, it’s not made from real snake. I’ve only ever seen syn-ake in Korean beauty products before so this is an innovation worth trying out. I’ve been using it for the last few days and you can definitely feel an immediate tightening effect. 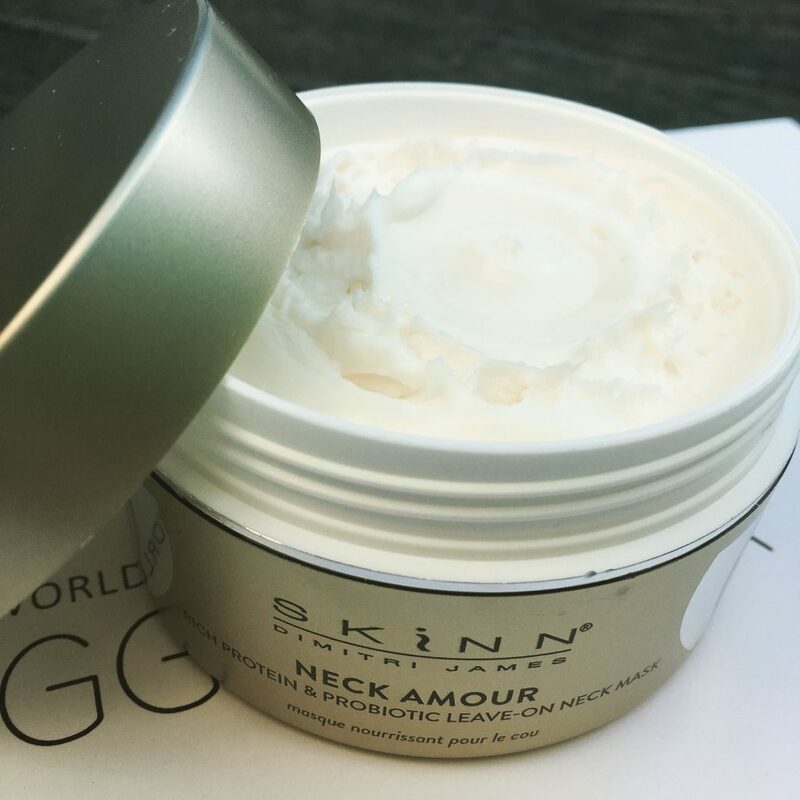 Another product I was really interested in is the Skinn Neck Amour Leave-On Mask (RRP £29.99). Considering how much an increasingly scraggy neck bothers most women over 40, it’s surprising that there isn’t more skincare targeted at this area. We can’t all just wear a turtleneck all year round. This is a thick white cream mask to be left on overnight. I’m going to try it out over the next few weeks and report back. And finally, one of the most popular Ideal World TV beauty products, the Zhuzh! Tan Accelerator, which normally sells for £15.99, will be on special offer for 2 bottles for £18. Happy 18th Ideal World! May your conga line be a beautiful one. All products shown (and many more beauty products) are available online from Ideal World TV, or live on the Ideal World shopping channel. You’ll find it on Sky 654, Freeview 22, Virgin 747 and Freesat 812. These birthday week offers (and free postage and packaging) run from 12pm midday on Wednesday the 14th March 2018 and end at midnight on Monday 19th March.